Nothing about the internet seems organic if you think about it. This virtual world is not real but totally real at the same time and its relevance is undeniable to business communities, charities, and communities of all kinds. People rely on the internet in order to have “likes” and “friends” which is depressing, but for companies the real-virtual world of SEO can be challenging and interesting. One must engage with it in order to succeed at business online. Professionals use Search Engine Optimization to improve their clients’ rankings with search engines. The top ones are Yahoo/Bing and Google but lesser-known engines exist too such as DuckDuckGo, Excite, and AOL. When consumers look for companies and organizations which suit their terms (the words they type into a search box), search engine rankings determine which examples on the worldwide web will make it to the top of those results and the order of every other item to follow. Search Engine Optimization experts employ two types of tactics to assist clients: the organic search and a paid search. The Internet defines these as the results consumers come up with when they use a search engine box, choose keywords, and go looking for something specific. This could lead to roofing companies, electronics stores, specialist shoe shops, or boutique hotels. Terms are defined by the shopper or researcher. Results are ranked by search engine algorithms; programs used to automatically determine the legitimacy of each site based on certain criteria such as a relevant title, meta tags, and keywords. Once an internet user is on the internet looking at or for something, he might encounter a PPC (Pay-Per-Click) ad or an affiliate coupon. These are links to websites the consumer was not interested in but could be inspired to click out of mere curiosity. PPC ads are hosted by websites which charge an amount for every time someone clicks them. Affiliate coupons and promo codes are often featured in the sidebars of websites and clicking them to reveal savings on products takes a reader directly to that website. The person posting these codes receives a commission from sales directly connected to engagement with this marketing tool. Starting with organic searches, the major advantage is that the consumer reveals links he was looking for. He is not attracted into a rabbit warren of distraction or inspired to consider products on a whim. The relevancy of his results is directly connected to the specificity of his search terms. But, search engine algorithms are imperfect. Results can be a frustrating mixture of items. Some or none relate to your needs, especially if firms aren’t using SEO tools. It is especially hard to find things when key terms could be regular descriptive words or part of a brand or company name at the same time. A paid type of search not only distracts but sometimes leads to spontaneous purchases. They can be good or bad for the person posting a Pay-Per-Click ad. Since PPC ads cost money every time someone clicks on them, the usefulness of ads is tied to the motivation behind a reader’s interest. Mere curiosity costs the company money. Traffic that turns into sales makes curiosity worthwhile. 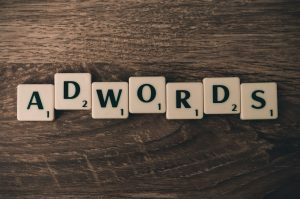 If an SEO advisor aptly suggests that PPC ads are placed where readers are already interested in a related subject, these can be worth the money. Imagine a landscaping company posting an ad with a landscaping supply business. The commitment can be short or long-term. PPC ads also reveal ideas and products consumers had not thought of or did not even know existed. This is exciting and fun; a great way to attract an audience that would not have known to direct an organic search in this direction.